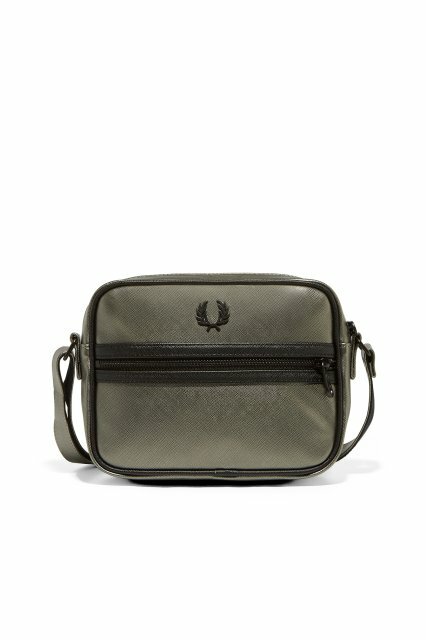 METALLIC SAFFIANO SIDE BAG. 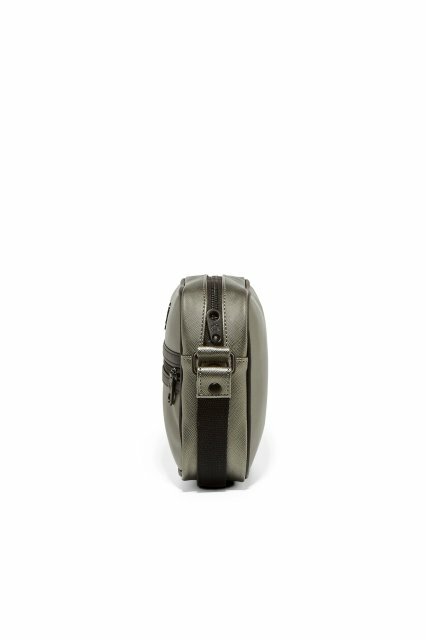 Made in a lightly-textured metallic PU, our side bag is functional and durable. Lightly-textured metallic PU. Twin tipped front zip pocket. Adjustable shoulder strap. 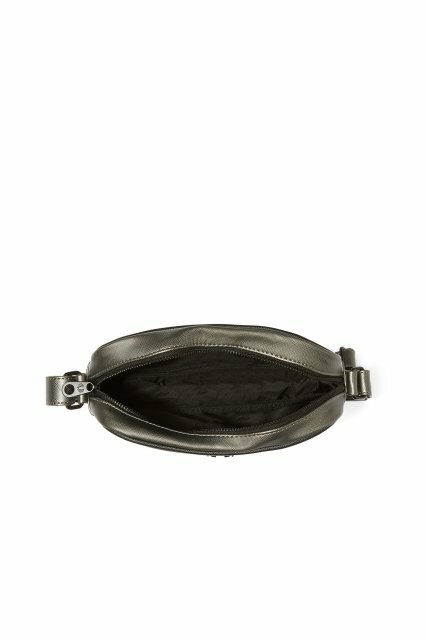 Internal zip pocket. Metal Laurel Wreath at the front. Made in a lightly-textured metallic PU, our side bag looks back to womenswear of ‘70s and ‘80s subcultures. Tough, high-glamour accessories dominated the punk rock era, with women wearing bold accessories in metallic fabrics. H: 17.2cm W: 22.5cm D: 7cm. 100% PU. Not Washable.